'Racist' Beijing Restaurant Sign Prompts Fury: "No Japanese, Philippines, Vietnamese or Dogs Allowed"
A restaurant in Beijing has banned the citizens of three Asian countries as well as dogs in response to a maritime dispute. A sign outside the Beijing Snacks restaurant near the Forbidden City says no Filipinos, Vietnamese and Japanese are allowed to enter, provoking a wave of outrage. 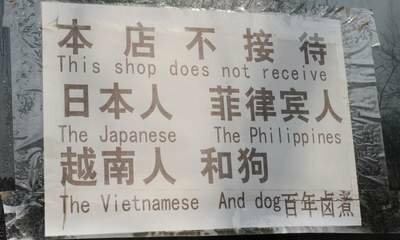 The sign outside the popular tourist spot reads: "This shop does not receive the Japanese, the Philippines, the Vietnamese and dog(s)." The owners of the restaurant have been accused of racism after photographs of the controversial sign went viral and started appearing on Vietnamese-language forums and in Filipino newspapers and websites. Vietnam's state-run Tuoi Tre newspaper it had "ignited online fury". The newspaper said many Vietnamese felt it was another example of Chinese "extreme nationalism that deserves to be condemned". One Vietnamese who wrote a comment under the story on the paper's website said: "It's not patriotism, it's stupid extremism." The sign provoked tens of thousands of posts on Vietnamese social networking sites and newspaper comment threads. Filipinos greeted the photo with a mixture of fury and amusement. "Blatant racism at Beijing Restaurant," journalist Veronica Pedrosa wrote in one widely-shared tweet, while Facebook user Rey Garcia used a comment thread on a news site to retort: "Who cares, they almost cook everything, even foetus and fingernails." Vietnam and the Philippines are locked in a longstanding territorial row with China over islands in the South China Sea. China and Japan have a separate acrimonious dispute over islands in the East China Sea. The dispute has been aggravated recently by China's launching of its first aircraft carrier which will be responsible for operations in waters surrounding Japan and the Korean Peninsula. Chinese media announced on Wednesday that the ship will be docked in the eastern port of Qingdao. Philippine Foreign Department spokesman Raul Hernandez refused to enter the row over the resturant telling reporters in Manila that the restaurant sign was simply one "private view" about the maritime dispute. The photos were originally posted on Facebook. The sign's wording has the potential to be particularly inflammatory as it recalls China's colonial era, when British-owned establishments barred Chinese from entering. A sign supposedly reading "No Dogs and Chinese allowed" became part of Communist propaganda after it was said to have hung outside a park in Shanghai when Western powers controlled parts of China. It has become part of Chinese folklore and featured in the 1972 Bruce Lee film "Fists of Fury" - but many historical experts say no such sign ever existed. The controversial Beijing sign was still in place on Wednesday, according to the restaurant owner who gave only his surname of Wang. Mr Wang told the AFP newswire: "No officials have contacted me about it. 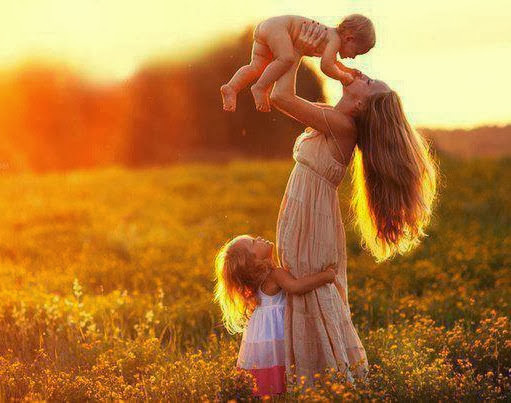 This is my own conduct."